We have improved the way we update Turbine so that new features and bug fixes take much, much less time to publish. This will reduce downtime on the app during the update process. 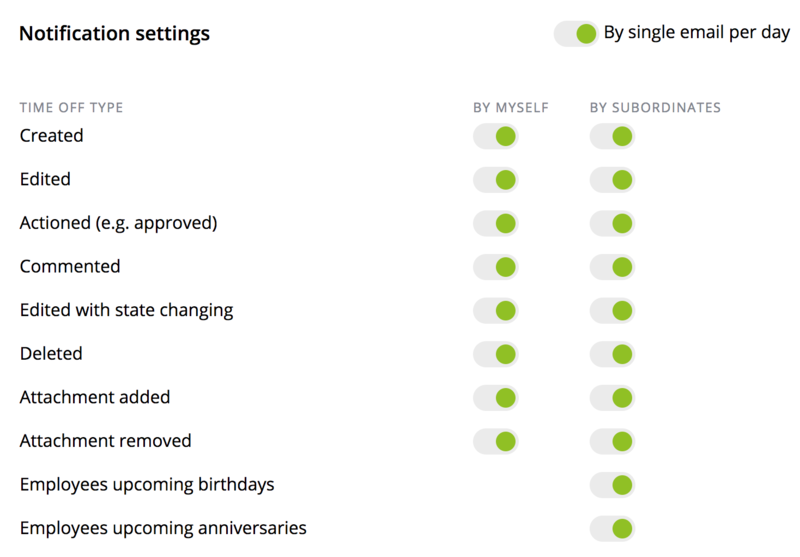 We have added some options to the Features page which were previously only available via tech support requests, including control over whether teammates can see one another's availability, whether managers can create requests for their subordinates or add extra holiday days for their staff and a choice about whether employee-created suppliers should get added to the master list of approved suppliers or not. Fixed a bug which stopped update notifications from being cleared once people clicked on them. Fixed the formatting of the employee export CSV so that you get one row per employee in the spreadsheet. We discovered an issue that prevented time off days accruing for some users between September 11 and November 2. We have fixed the bug and ensured that all users have had their balances correctly updated. We will be writing directly to affected companies. Added an additional monitoring system to report 'cron' errors to spot if this kind of issue happens again much sooner. We also fixed a bug that was preventing some users from seeing and updating their email preferences. Bug fix: some users were not able to download attachments in POs and other requests. Bug fix: some users were not able to log in. Fixed blackout days. On the time off settings it is possible to block out days of the week (e.g. Saturdays and Sundays) or specific days (e.g. Christmas day) to stop people being able to book a holiday on one of these days. We fixed some bugs on this section so that it works properly. Small updates for user profiles. While admin users can edit data on the employee records page, set email settings and multiple account logins for users, individual users should not be able to do this. Change in email settings save logic. Now email notification settings are saved with each change - no more 'save' button. Fix data ranges on Firefox browsers. Small style fixes for the sign up form. Validation errors are displayed in a neater way. Updated permissions for 'teammates can see time offs'. This setting is not (yet) available to general users. You need to contact Turbine Support to enable it. But it allows teammates in the same team to see one another's time off requests. However, during beta testing, we found a number of performance and permissions problems which we have now fixed. File data encryption at rest. We take security and privacy seriously at Turbine and we've implemented encryption at rest for uploaded attachments and images stored in Amazon S3. Preparations for improved sign up process. We moved the marketing website to HubSpot recently. (See this article for more details.) And we're in the process of moving the sign up process for new customers to HubSpot too. This is an important part of that process. We've added notification summaries. Now you can get a single email every day with all your Turbine updates and requests. To activate this feature, select Email Settings on the menu under your name in the top right of the screen. Fixed 404 error that occasionally happened downloading a PDF using an email link. Added a third-party service to monitor our Cron jobs to make sure that we get an alert if there are any problems with time-based changes, such as marking taken time offs as actually taken. 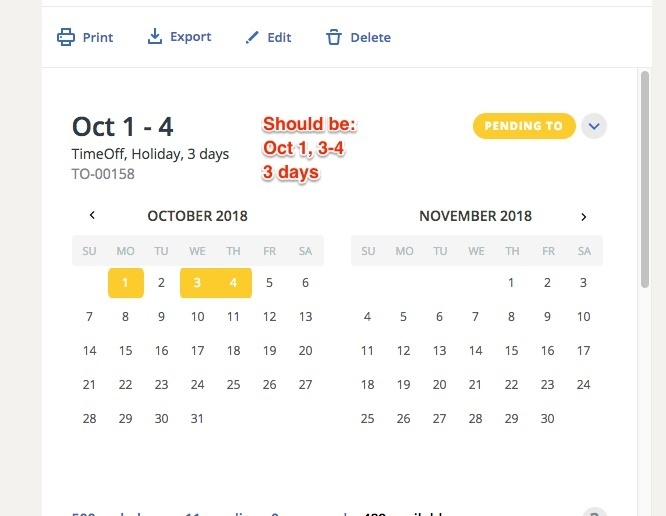 Fixed the way non-contiguous dates are displayed in time off requests. It's probably easier to show you what we fixed than explain it. Here's a screenshot.